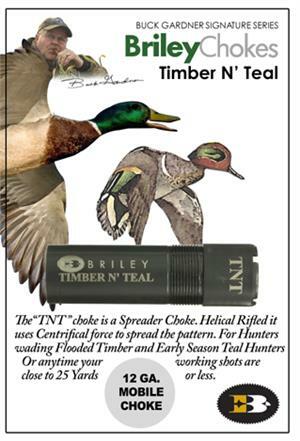 The "TNT" choke is a Spreader Choke. Helical Rifled it uses Centrifical force to spread the pattern. For Hunters wading Flooded Timber and Early Season Teal Hunters Or anytime your working shots are close to 25 Yards or less.